Argentina and Australia have scored some superb tries in The Rugby Championship and the sides meet again in the final round when the tournament concludes for the first time at Twickenham on October 8. Buy now and make sure you're at Twickenham to see rugby history being made. (Booking fees apply & tickets are subject to availability). Santiago Cordero is Argentina’s lethal finisher with three tries in the opening four rounds of The Rugby Championship. 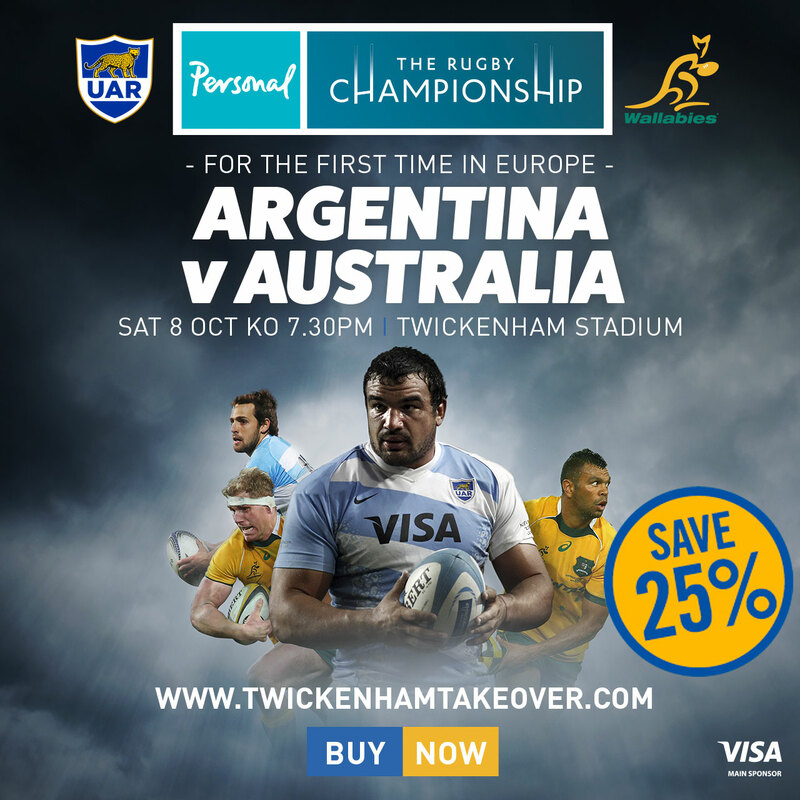 The wing heads to Twickenham where the Pumas take on Australia on October 8, the first time the tournament has come to London.
. Buy now and make sure you're at Twickenham to see rugby history being made. (Booking fees apply & tickets are subject to availability). Cordero showed great anticipation to grab Nicolas Sanchez’s kick and touch down against South Africa in Nelspruit, then ran a great support line to stun New Zealand early on in Hamilton. His strike against Australia in Perth was a made by dazzling footwork to finish in the corner. Cordero has nine tries in 25 Test appearances so far and at the age of 22, he has now established himself as one of the world’s best. Editor's note - this is not a sponsored post.